Our mission is to evangelize, equip, and empower the next generation of Christlike men. 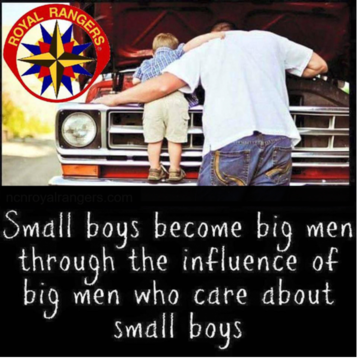 Royal Rangers molds boys into servant leaders, teaching them vital skills in social, equipping, attitude, leadership, and service. Our program is an activity-based, small group church ministry where boys learn to study and apply what the Bible says about integrity, doctrine, biblical worldview, cultural issues and manhood.